Pharmaceutical drugs have the power to cure diseases and make medical conditions manageable. Some drugs, however, may cause more harm than good. The Jackson defective drug lawyers of Coxwell & Associates have a deep understanding of Mississippi drug liability law, and we work every day to help people injured by dangerous and defective drugs. The increasing popularity of testosterone replacement therapy to treat low testosterone, or “low-T” in men has led to further study of possible side effects. A recent medical study found that the unnecessary use of testosterone cream may increase the likelihood of heart attack and stroke in middle-aged men. Coxwell & Associates are investigating these claims now. A person injured by a defective product may file a lawsuit to seek compensation for his injuries. Generally, there are three types of defects a plaintiff may allege: a manufacturing defect, a design defect, and an informational defect. Most drug cases allege an informational defect — specifically that the drug manufacturer failed to provide adequate warning of possible side effects. The manufacturer knew or should have known about the danger and that the consumer would not recognize this danger. In a defective drug case, the defendant is usually the drug’s manufacturer. To satisfy the first two elements of the claim the plaintiff proves that a side effect made the drug unreasonably dangerous and that the manufacturer did not warn of the side effect. This could be done, for example, by proving that the risk of heart attack or stroke associated with low testosterone replacement therapy made the drug unreasonably dangerous and that the manufacturer did not warn of these side effects. The third element is proven with the plaintiff’s medical records and testimony of expert witnesses. The plaintiff can prove the last element by submitting evidence that either the manufacturer knew of the side effects or, more likely, that it should have known of the side effects though reasonably available information. A man injured by testosterone replacement therapy who files a successful lawsuit can collect damages from the drug manufacturer. Economic compensatory damages reimburse plaintiffs’ lost wages, medical bills, and other reimbursable expenses. In addition, a plaintiff may collect noneconomic compensatory damages if he has experienced pain and suffering, emotional distress, or other, more subjective injuries. In some cases, Mississippi plaintiffs can also seek punitive damages; however, an award of punitive damages requires further proof of malice or gross negligence on the part of the defendant. A drug manufacturer who sells its product without necessary, adequate warnings has breached its duty to the public and violated Mississippi law. Because of the complex nature of product liability claims, it is important that your Jackson drug injury attorney have a solid track record of favorably litigating cases. Coxwell & Associates has helped countless Mississippians seek compensation after a defective drug injury. 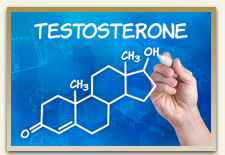 If you have been injured by a testosterone replacement therapy product, call (877) 231-1600 or visit our contact page to schedule a free case review.